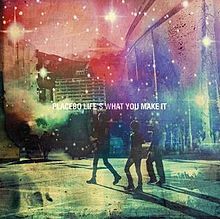 Caroline sings with Brian Molko on Placebo new Life’s What You Make It EP – a cover of Rowland S Howard’s Autoluminescent – and backing vocals on Placebo’s new single Jesus’ Son. Caroline previously sang under the name Severe Loren for Placebo back in 2000 appearing on Special K and Taste in Men on the Black Market Music LP. 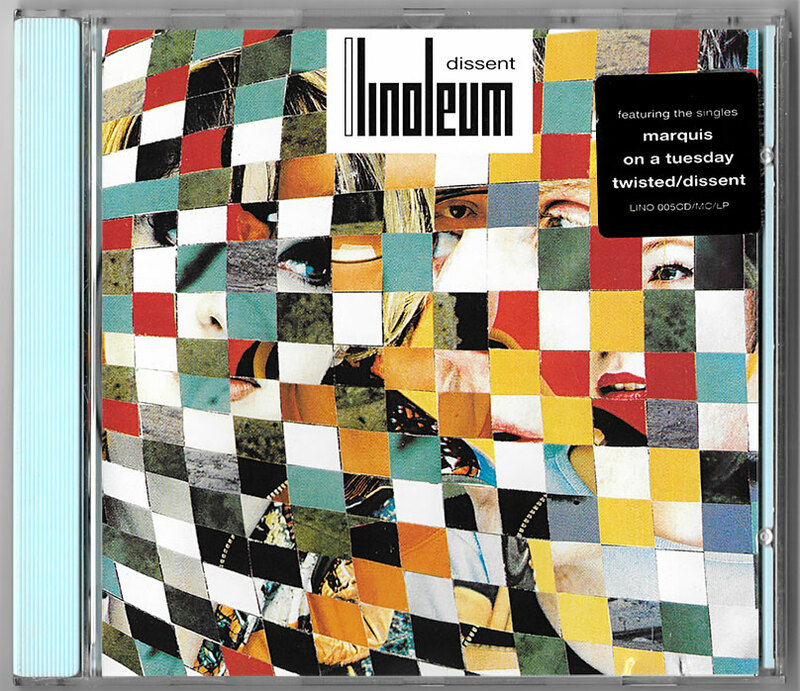 Linoleum toured with Placebo and AC Acoustics in 1996. Caroline has been collaborating with Digital 21 & Stefan Olsdal on a track – Side Effect – for the new LP out in 2017. This image from her first gig in many years with Digital 21 & Stefan Olsdal in London on 6 Sept 2016. 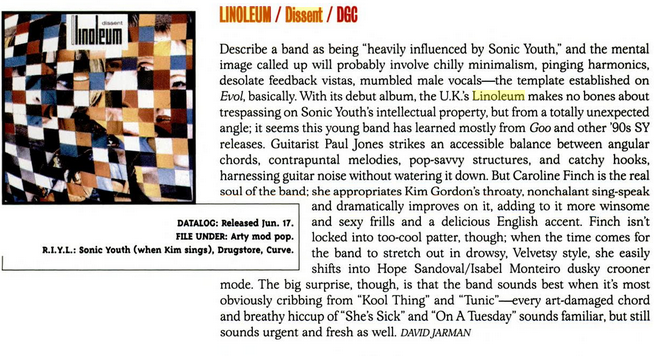 Author adminPosted on April 26, 2016 October 12, 2016 Categories LinoleumTags Caroline Finch, Dave Nice, Dissent, Emma Tornero, Linoleum, Paul Jones, Severe Loren2 Comments on 20 Years since Linoleum Dissent single released! 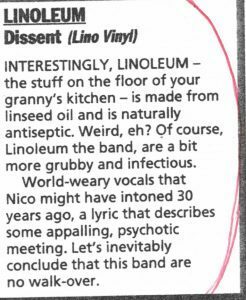 Available in the UK for the first time in nearly 20 years, Dissent by Linoleum available soon.